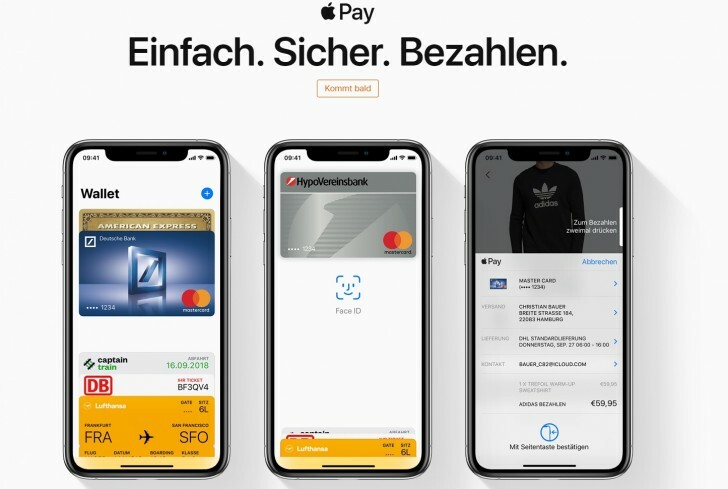 According to sources in the banking industry related to the German blog Macerkopf, Apple is finally going introduce its Apple Pay system as early as this week. In fact, many believe this will happen tomorrow. Tim Cook confirmed that Germany will get Apple Pay before the end of 2018 back in July and it appears that the firm will hold on to its promise. The mobile bank N26 and Comdirect are expected to be among the first to adopt the payment method. We can only wait now as Apple's official German website says "coming soon" when you go to the Apple Pay section.